Lingual Braces work just as effectively (and do just the same job), most of the other traditional metal and ceramic appliances work. But there is one important, aesthetic difference. There will not be any shiny metallic smile. Lingual Braces are applied on the back side of the teeth as compared to metal and ceramic braces which are applied to the front of the teeth. At Dr Chopra dental clinic,we use all kind of Lingual braces from international brands like ORMCO. We also specialize in using Lingual Braces that are created using state-of-the-art technology and are 100% customized to the shape of patient’s teeth and mouth ex Incongnito (3M). Who are Good Candidates for Lingual Braces (Hidden Braces)? Lingual Braces (Hidden Braces) are suitable for patients of all ages.Many people think that if you haven’t got your teeth corrected during childhood, you’ve missed your opportunity. But the truth is that you’re never too old to look good! Braces can make your smile beautiful at any age. 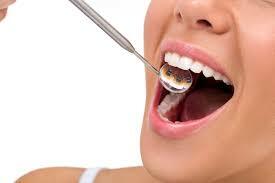 While more and more adults want the perfect smile, they also want to carry on with their normal lifestyle too. Anyone who needs orthodontic care and at same time don’t want to compromise their appearance will find Lingual Braces (Hidden Braces) as a perfect choice. Is it difficult to maintain oral Hygiene with lingual appliance? It is important for you to maintain good oral hygiene with any kind of braces, however since the Lingual Braces are very closely contoured to your teeth, it is much easier to maintain oral hygiene compared to labial braces. Regular checkups are recommended during the orthodontic treatment period to maintain the gums and teeth in healthy condition. Will there be soreness on tongue? In the initial stages of treatment there might be mild discomfort, which goes off as the mouth and oral structures are adapted to the appliances. Wax provided at the clinic can be used to cover the appliance to avoid any discomfort. Warm saline rinses can also be done for early healing of any mild soreness. Does lingual appliance affect My Chewing and My Speech? 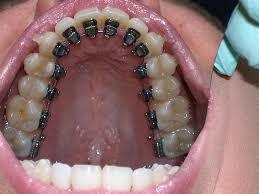 It generally takes a week with most of patients to completely get used to the Lingual Braces (Hidden Braces). After an adjustment period of a few weeks, most patients get comfortable with the appliance that their speech is normal.Most patients have found that tongue naturally adjusts to accommodate the Lingual Braces and speech returns to normal within a few weeks. The customized lingual brackets is individually manufactured for each patient using CAD/CAM technology and features a high-precision, flat shape with is a new age technology, this results in a significant reduction in tongue irritation and speech disturbance.